What is Prosecutorial Discretion for Deferred Deportation? ✓ Working with the family to compile documents that show that they should be a low priority for detention and deportation, including multiple letters of support and character references. ✓ Accompanying them to the ICE office to submit their petition. ✓ Advocating with ICE on their behalf. ✓ Praying for the family and providing pastoral support through the process. You do not have to work with a lawyer in order to utilize prosecutorial discretion but it helps! What are the legal implications of sheltering undocumented immigrants in congregations? Churches are currently “sensitive zones” under current ICE policy. Long before that policy was in force, churches sheltered immigrants with deportation orders. While there are laws prohibiting “harboring,” the interpretation of those laws has not ever included churches who are openly providing shelter with the intent of helping someone to legally resolve their case. The legal doctrine of the separation of church and state has also been used to justify ministering to undocumented people in a variety of forms. (See Resources for a legal opinion from the Missouri Synod Lutheran Church about the right and limitations of churches in ministry with undocumented people.) For more details on legal defenses which have been prepared for this purpose as well as a variety of helpful tips for setting up a network of churches to support and shelter undocumented immigrants, see sanctuarynotdeportation.org. Sanctuary in the Streets, a program of the sanctuary coalition in Philadelphia, has worked out a system for an immigrant at risk to send a text that automatically contacts a large number of volunteers. If an individual or family is in their place of residence or workplace and ICE knocks on the door without a judicial warrant, they do not legally have to open the door. By sending a text, a group of volunteers can come to their home to pray and film any interaction with ICE. Through openly praying in a place, you may be able to claim it as a sensitive zone or otherwise delay detention. If detention occurs, you may be able to bring publicity to the case, strengthening the potential for support and the successful achievement of deferred deportation for that family. How do we minister to immigrants who currently live in areas where they lose all protections? Sending Cities: If you are in a city where Dreamers and other immigrants are in danger of sudden deportation without any other recourse, you may want to host these immigrants for a short time period and then send them to a more welcoming city. During the time when slavery was in force in the South, this kind of activity was called an Underground Railroad. Transporting undocumented immigrants is illegal under the laws of the land; it may be legal under a higher law. Receiving Cities: If you are in a city which is standing with immigrants, you may want to choose to welcome immigrants arriving on the Underground Railroad and help to resettle them. This comes under the heading of ministry and is not illegal. 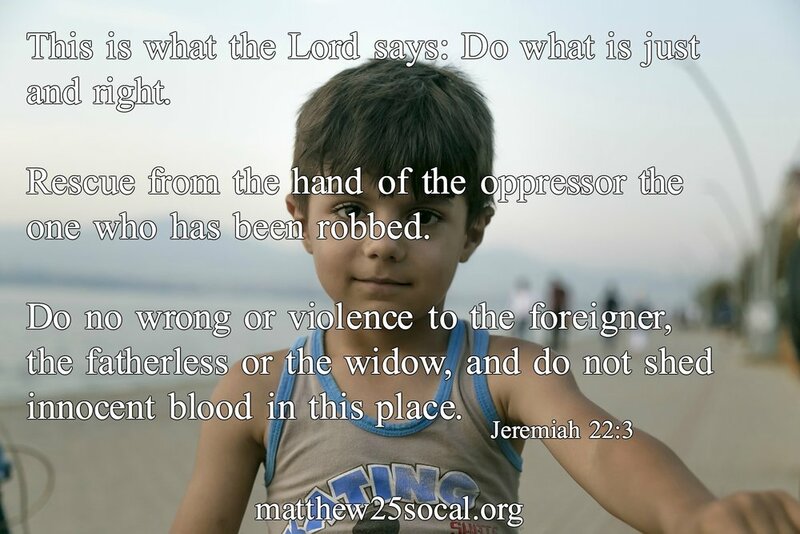 We have time-honored mechanisms for refugee resettlement by churches which can be used in this way. Many immigrant churches have their own ways of helping new arrivals to find jobs and new places to live.